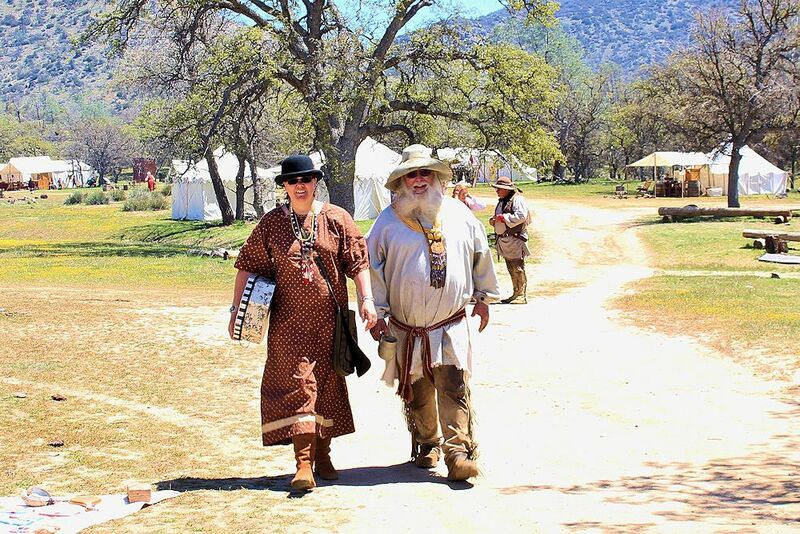 Join us at the 1st Annual Paiute Mountain Rendezvous (formerly Hart Canyon Rendezvous) on April 13-21, 2019 near Caliente, California. 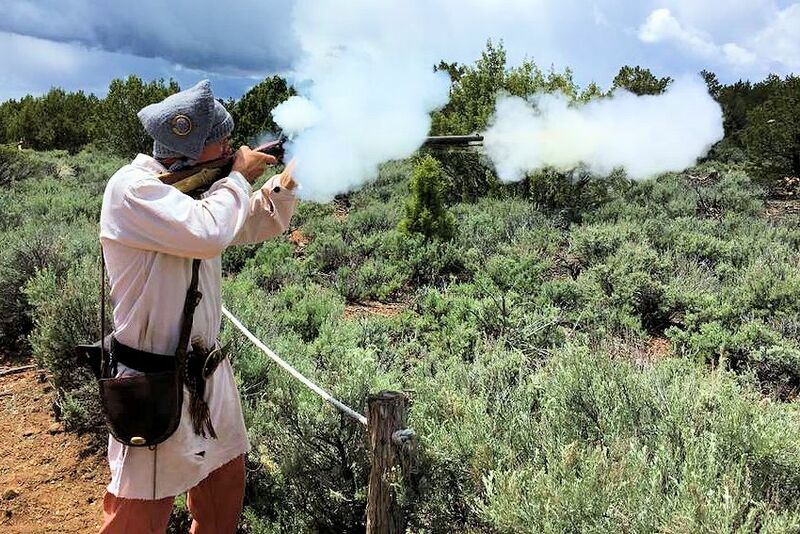 Experience the crack of muzzle-loading rifles echoing through the hills as hundreds of costumed reenactors mill about the camp in authentic pre-1840s Rocky Mountain mountain man (and woman) attire. This beautiful panorama is part of the Paiute Mountain Rendezvous, sponsored by the Paiute Mountain Buckskinners, a club dedicated to preserving early-19th-Century American history. The event will be held over nine days, and is open to the public. Anyone can stop by from 8 a.m. to 5 p.m., but those wishing to stay overnight on the grounds must be registered as participants and outfitted in period attire. With various special events offered for adults and children, plus traders with period-era goods for shopping, this historic spectacle will be a memorable experience for the whole family. 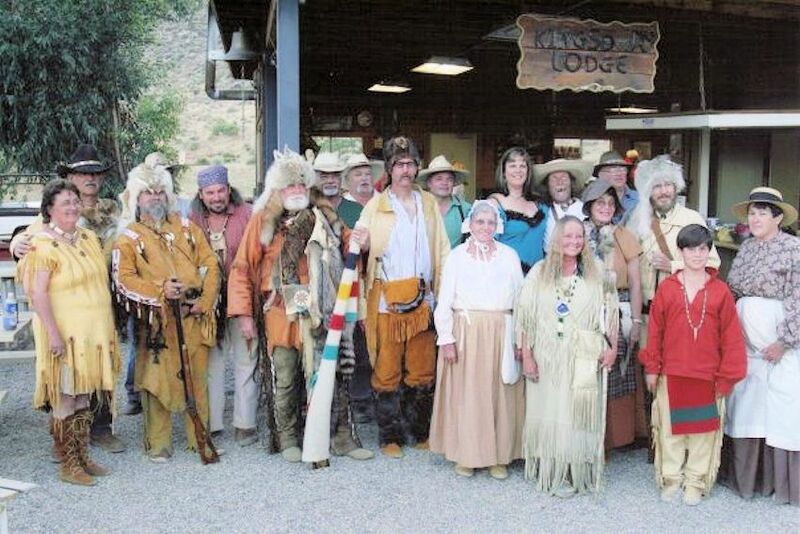 At the Paiute Mountain Rendezvous, pre-1840s period mountain man traditions and customs are kept alive. Visitors will also find that hospitality, friendship and camaraderie extends throughout the camp to visitor and participant alike. This is a 1740 to 1840 Rocky Mountain Fur Trade “period” encampment. Participants, be aware the “Tin TIpi” area is limited, road is rough and RVs are not recommended. Walk through and specialty shoots, archery, Rocky Mountain Colleges (Seminars), children’s activities, Saturday night pot luck dinner (bring dish to share), awards and raffles. Paiute Mountain Rendezvous is a CLOSED CAMP Tuesday – Thursday with LIMITED GATE HOURS. Gate will be open from 9am to 11am and from 3pm to 5pm on these dates. Camp is closed to Day Visitors on these dates. Primitive traders are welcome. Camp fee is the same as other participants, plus prize donation. Contact Doug Galbraith: 909-553-6702; email dougann13@netzero.net. From Highway 58, take the Caliente cutoff, (Bealville Road) traveling north, approx. 2 miles. Road will become Caliente-Bodfish Road; continue traveling east, approx. 3 miles. At the fork, continue straight on to Caliente Creek Road (right fork) and travel approx. 13 miles, past the Twin Oaks Store. Turn right at Jay Drive. The gate to the Paiute Mountain Rendezvous site will be on the left. Mark your calendar today so you don’t miss the next Paiute Mountain Rendezvous near Caliente, California.